Kirsa Andreasen works with the full palette of human emotions when she builds her paintings on a mixture of classical landscapes and modern figuration. The simplicity and bald narrative of the paintings tell of an artist who wishes to deliver a clear message without ambiguity. It basically concerns the emotional conditions we have to live with; daring to give them space. It is about what happens when a human being is sucked into her own emotional space – voluntary or involuntary – where emotions take over. Emotions that can become so strong that you almost enter an animalistic state. 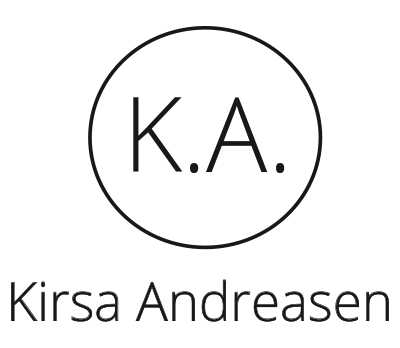 This endeavor to seek beyond rationality stems from Kirsa Andreasen’s interest in the pure, honest core of the self; what we cannot escape, what binds us all. Is this for instance the soul or a collective consciousness? Philosophers have debated the issue for centuries and when Kirsa mentions Plotin’s theory of “the beauty” in us all, she delivers the core of her art on a silver platter. According to Kirsa it is a very beautiful aspect of the self; being good and bad, being part of nature. Therefore the outset of her paintings is the magnificent beauty of the classical landscape; only when that has been captured and found life, the scene can be handed over to the main character and emotional theme of the painting. It is in many ways paintings which, through their dramas and often large canvases, direct the thoughts towards the theatrical arts. However, the scene must in no way be seen only as backdrop but rather as the essence of the drama, nature being at the base of human existence and agency. 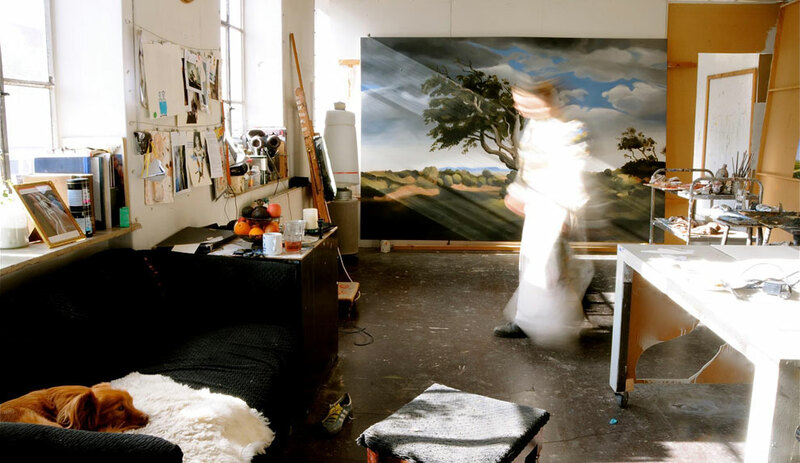 The classical landscapes’ worship of nature is an important part of Kirsa Andreasen’s art. It is far from coincidence that many of the landscapes that stretches in their full breadth behind the main characters of the paintings are borrowed from the great classical landscape painters. For it is in the classical landscape paintings and their unique color timbre and light effects that Kirsa recognizes the presence of the artist and the almost meditative worshipping of nature; one that she works with herself. She recognizes the physical and spiritual presence in nature which the older painters felt when they literately placed themselves in the midst of their motive and painted it. Not only did they feel a close connection; they almost merged with it. Here the painter, through this concentrated emotional experience, entered into a form of timeless spiritual space and ‘informed’ the painting. Kirsa Andreasen works with this space as a ’universal space’ which all people are capable of entering, and which potentially combines all people. – A state of timelessness that combines everything. It is this space Kirsa invite you into when she amalgamate the classical motive with modern man delivered in a contemporary idiom with elements of pop-art. Thereby she opens up for a space where we are set free in a ‘no-time’ which no longer binds us to a modern context, thus providing us with the opportunity to see ourselves as what we basically are: objects of nature. Prof. Marià Dinarés, Carmen Garcia, Toni Garcia & Carmen Collel. Reduccions 100 Front and back cover for the Catalan poetry collection published by Eumografic 2012 Livtag. 19 Illustations for the book “Livtag” Published by Dannerhuset. Pas a Dos. Paintings in coorporation with musician Barbara Held and poet Antoni Clapés. Fundacion La Caixa, Vic. Stor er stilheden. Painting for the cover of “In Nuce” By Antoni Clapés. Der var engang, natten til første marts, og jeg kom fra vest. Serie of four paintings for the yearbook “La Lletra”.